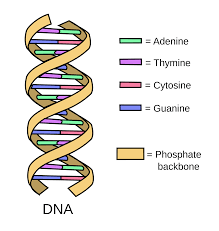 DNA testing may be used for genealogical purposes. It can confirm family relationships by comparing your test results with others. When deleting a previously registered search, you may leave any of the fields blank (except for your email address). For example, if you have two registered searches, one for "John Jones" and one for "Mary Jones", and you specify deletion of "Jones", leaving the first name field blank, then both the "John Jones" and "Mary Jones" registered searches will be deleted. Also, if you leave all the fields blank (except your email address), then all your registered searches will be deleted. Looking for your ancestors? Let us help! When you sign up for our "Notify Me" service, we'll let you know when new information has been added for your entered search. We'll send you an email when new databases have been uploaded that contain information that satisfies one or more of your registered searches. 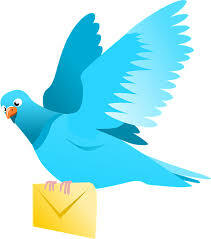 The email you enter in this page will be used to notify you about the searches you have registered. We will not share your email with anyone else nor will we use it for any other purpose except as you have given us permission through other requests you may have made on our website. Apr 18 2019: 1429 family tree names uploaded by S. Scaysbrook. Apr 18 2019: 2019 family tree names uploaded by D. Stratton. 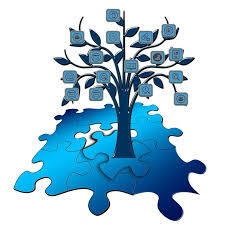 Apr 18 2019: 5900 family tree names uploaded by D. Stratton. Apr 18 2019: 1519 family tree names uploaded by E. Sanders. Apr 18 2019: 2728 family tree names uploaded by D. Leas. Apr 18 2019: 576 family tree names uploaded by R. Oakley. Apr 18 2019: 1343 family tree names uploaded by R. Oakley. Apr 18 2019: 607 family tree names uploaded by S. Unknown. Apr 18 2019: 7297 family tree names uploaded by G. Spencer. Apr 17 2019: 123543 family tree names uploaded by D. Hazel. Apr 16 2019: 48781 family tree names uploaded by J. Manning. Apr 16 2019: 12510 family tree names uploaded by D. Hudnall. Apr 15 2019: 897 family tree names uploaded by P. Campbell. Apr 15 2019: 2182 family tree names uploaded by D. Palmer. Apr 15 2019: 589 family tree names uploaded by D. Fallais. Apr 13 2019: 201203 family tree names uploaded by J. Scully. Apr 12 2019: 342 family tree names uploaded by M. King. Apr 12 2019: 12372 family tree names uploaded by B. Saxton. Apr 12 2019: 536 family tree names uploaded by D. Mcdonald. Apr 11 2019: 112324 family tree names uploaded by W. Baldwin. Build & Display your Family Tree FREE. No size Limit to your FREE Family Tree. Your tree is NOT merged with other trees. A Media Showcase for Every Person & Family. Include Individual and Family Histories. Print beautiful charts and calendars. FREE - Share your tree with your family. Living people are NOT shown to the public. Get FREE subscription time with your GEDCOM upload. or Build Your Family Tree Online. where your ancestors came from. Post a "Notify Me" Request.